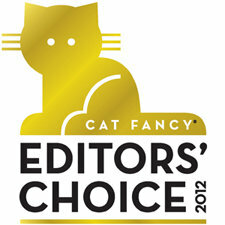 Boxiecat Wins The Cat Fancy 2012 Editors' Choice Award! What are Boxiecat's business hours? What is Boxiecat's phone number? Where are Boxiecat products manufactured? Who is Boxiecat? Besides being America’s first and only subscription cat litter service - we're cat people... We really love our cats! What we don't love is having to get cat litter. Nobody does! Not one of the big-litter companies has taken the time to make litter simple, so we did it ourselves. The Boxiecat idea is to receive truly natural, long lasting, and effective litter without spending precious time going to get it, without ever running out, and without the heavy lifting. Our mission is to be good for cats, good for people, and good for the planet. We put our hearts into Boxiecat, and we're always at work making it better. We hope you will find our litter excellent, and added value in the Boxiecat service. We shipped our first box of litter in August of 2011, and know our company exists because of you. We greatly enjoy the opportunity to meet so many great people and great cats. Call us anytime at 877-817-0253, or, send us a note- we'd love to hear from you! Boxiecat delivers great quality litter to your doorstep on your schedule. Simply set your home delivery schedule and relax. You'll save time and never have to shop for cat litter again. We do the heavy lifting and your cats can rely on a consistently clean and fresh litter box! Home delivery is always free! Boxiecat ships to all 50 states using super-fast USPS 2-3 day Priority Mail shipping (one week for Alaska and Hawaii). All orders have tracking numbers, and are delivered Monday - Saturday. When subscribing to Boxiecat, you determine the quantity and frequency of your shipments. It's easy to fine-tune these settings later, and we offer easy tools to help you get it just right. You can also try a shipment before subscribing, or order one bag at a time. Our packaging is extremely durable, and our shipping carriers are very reliable. However if you receive a damaged product or experience any other product issues, we will replace it immediately at no cost to you. "This is truly the BEST litter! I am a veterinarian with 6 cats... I have used every litter on the market...all of the clay and non-clay litters...This litter clumps really well, so the litter lasts longer because you don't have the broken up chunks that fall from the scoop. I love this stuff and recommend it to anyone and everyone! I tell all my clients about it, too!" Voted Best Cat Product of the Year! The award goes to "innovative products that reflect quality, creativity, originality, and fill a need in the market. Safety and functionality are essential." "This litter clumps really well, making it last longer and the odor control is amazing. And the delivery is so convenient!" Boxiecat solves the problems associated with cat litter. Just "set-it-and-forget-it." What could be easier? You and your cats will notice the Boxiecat difference! To subscribe, visit www.boxiecat.com and click on "Subscribe Now"
We just finished the Boxiecat Recommendation Engine™. It helps new subscribers estimate how much litter they need and how often they need it. Give it a whirl, and let us know what you think! What Type Of Litter Box Should Be Used?